Dafna's Personal Skincare is an award winning luxury skincare brand made in Spain that values honesty, effectiveness, passion, and responsibility. Their formulations use 100% pure and bio essential oils, certified ingredients (many of which are organic! ), and clean biotechnology, plus they are cruelty free and free from all the common nasties. 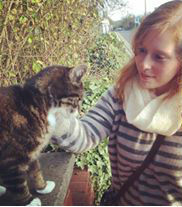 What's not to love?? 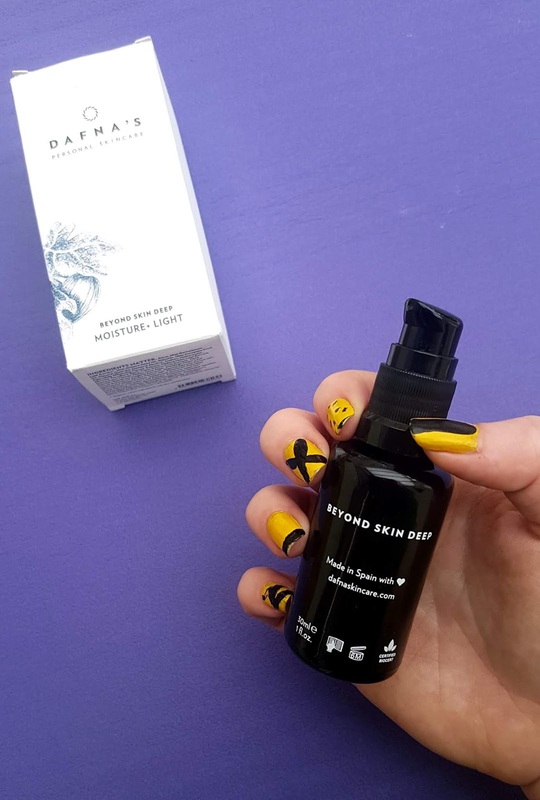 One thing that sets Dafna's apart is their belief in going beyond skin deep. They proudly state that all of their products "undergo Ayurvedic philosophy: (Ayur’ = life, Veda=knowledge), the body and mind are directly related and we believe in the power of the mind to transform and heal the body." By using a fusion of science and nature, they achieve high quality skincare that target a variety of needs, from dehydration to stressed cells. This luxury range covers all the key products, including serum, eye care, cleanser, moisturizer, face masks, and more. And guess what -- I was lucky enough to get their perfect for summer cream! I was thrilled to receive a bottle of their Moisture + Light moisturizer to test out as part of the LLABP, as I have been eyeing up the brand for ages now, and I have been beyond happy with the results. The moisturizer comes in a 30ml beautiful black glass bottle with an easy to use pump system. One push provides the ideal amount of product to apply to your skin, so there is no guesswork involved. I have to admit I am pretty terrible at knowing how much to use, so this is a huge plus for me. Dafna's Moisture + Light was created to revitalize the skin and uplift the senses, and includes hydrating ingredients like argan oil and hyaluronic acid as well as calming calendula and fig, making for a moisturizer that works even for more sensitive skin. I was not sure exactly what to expect in terms of the consistency, as the 'light version' description made me think it might be more of a serum than a traditional moisturizer. I was happily surprised that it looked and felt like a highly moisturizing formula, and the only difference is when it is applied -- it sinks in almost immediately. I have never used something that absorbs so fast, and it felt like I wasn't even wearing anything which is so refreshing! Since my skin tends to be a bit more problematic in the warmer weather, I was really excited by how lightweight the moisturizer feels. Another thing I love about this product is that there is a whole ritual recommended for using it -- the formula is not just about hydrating your skin, but revitalizing and uplifting your senses as well. Your mood is actually a factor in your overall skin health, so if you are stressed or upset, you can prematurely age your cells. Neroli and rosemary essential oils work to energize, relieve anxiety, and raise your spirits before you even start to massage the moisturizer onto your face. Just take three slow, deep breaths in of the scent, then finish with the application. 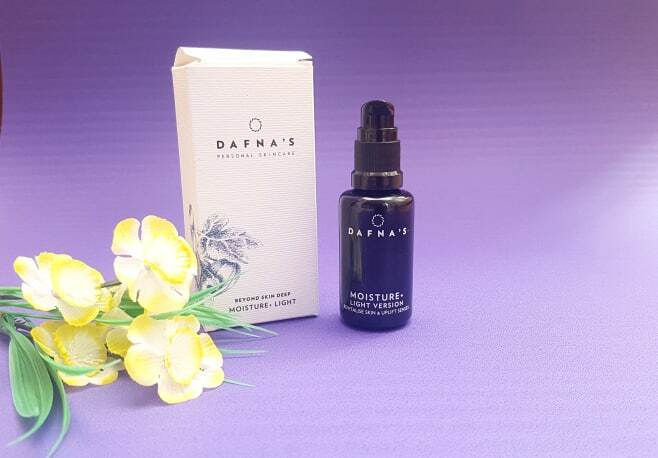 Overall I am loving the Moisture + Light from Dafna's, and I love that I have already found my perfect summer product before the real humidity and heat kicks off. It is the perfect texture for my skin, and I really appreciate the aromatherapy benefits as my mood can go up and down so it is great starting my day off right. Now that I have given this a go, I am even more excited to start trying out more of the range -- maybe I will go for the Bio Active Beauty Mask next! Have you tried out Dafna's Skincare range yet? I would love to hear your thoughts on the brand and on the products you have tried! 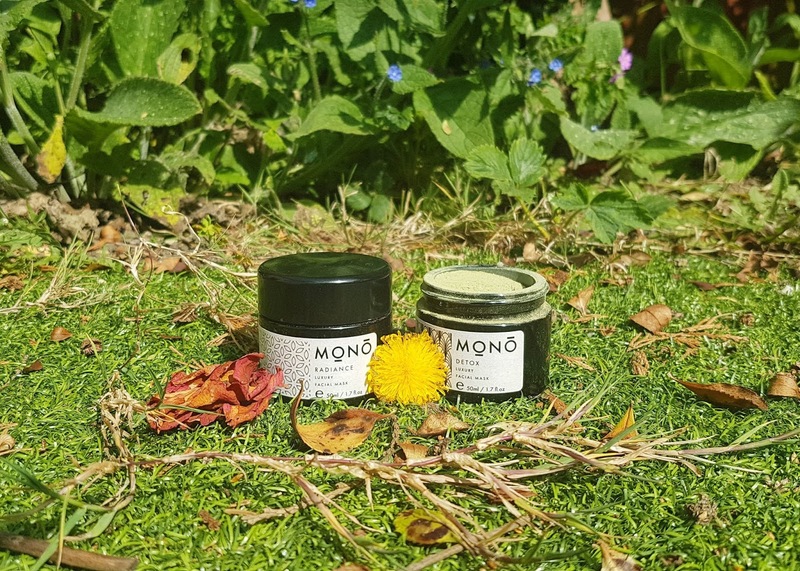 And if you are interested in getting a bottle of this perfect for summer moisturizer for yourself, you can find it over on Love Lula -- if it is your first order you can even grab 15% off your first order by using code LOVELULA15. I never know how much to use either! What a great brand. I haven't tried out Dafna's Skincare range yet, but would love to as it sounds like a great brand! I haven't tried this range but I have heard of it. Is there a real Dafna behind the brand? I would love to know more about their history. I've never heard of this brand before! I definitely need to check them out asap!